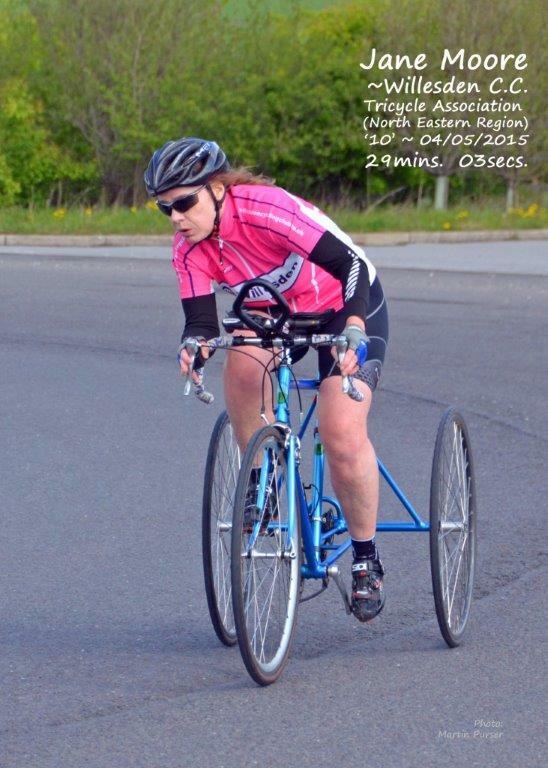 Jane took over two minutes off club Trike record for a 10 mile Time Trial on Bank Holiday Monday. Jane was racing at the Tricycle Association’s NE regional “Mike Dixie Memorial 10” on the fast V718 course near Hull. Jane’s time was 29:03 and she came 2nd on handicap, the only woman in the top 13 finishers! Many of the fast 3-wheeler men were in the race, which makes Jane’s result even the more impressive. 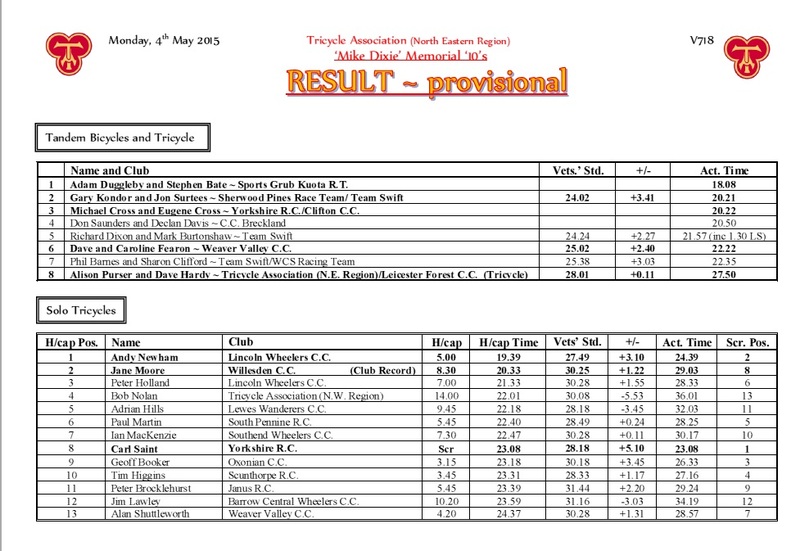 Many thanks to Jane’s Directeur Sportif, Mark Brooking, for providing the results and photo. Note: Results are now final.